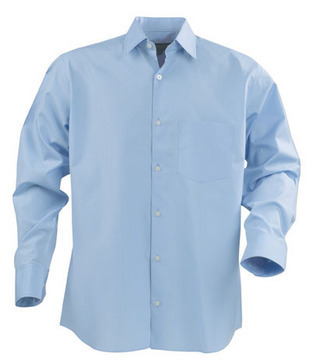 Fairfield - exclusive high quality men's shirt. Easy-care treated (fabric treated against wrinkles) with taped seams. Chest pocket & engraved buttons. 100% cotton. White only. Sizes - S-XXXL.